SwanBay Garden Villas removes the concept of "far is green"
Referring to resort properties, large green areas in Vietnam, customers often think of moving away from the center. Project SwanBay Garden Villas was born to meet the needs of living green but still close to the people. In the two cities of Hanoi and Ho Chi Minh City, the percentage of land area reserved for trees is very low, about 2sqm per person (data from the National Environment Status Report 2016 by the Ministry of Natural Resources and Environment dad). Urban green trees have not met the standards of forest cover as well as ecological balance. The target of green trees is just one tenth of the target of advanced cities in the world. 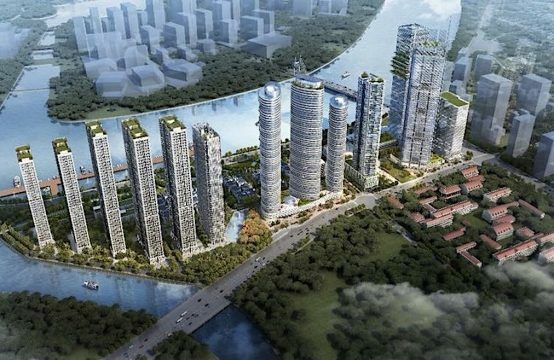 Therefore, Vietnamese real estate concept: want to live green, accept the living away from the center, lack of living facilities, moving inconvenient. Living in the garden villas are meticulously designed to bring only a weekend holiday destination for customers. In addition, social relationships, travel requirements for work, family … are factors that make it difficult for Vietnamese to live completely separate from the city center. 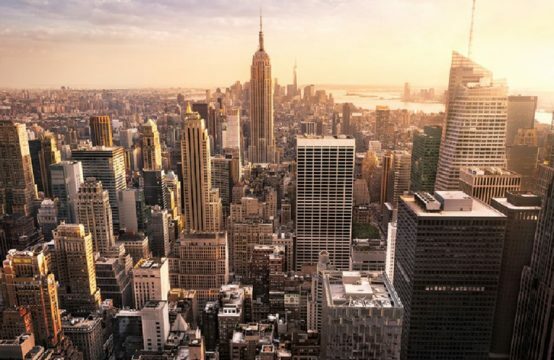 In addition, the traffic conditions and the context of the infrastructure have not developed synchronously, leading to many difficulties and disadvantages that many people are afraid to choose to live away from the city center. Understanding the demand of luxury real estate segment, close to nature but not too far from the center, many real estate developers have developed many green projects for this group of customers. In particular, SwanBay Garden Villas is one of many options that are of interest to consumers today when converging elements: isolated ecology, transportation system benefit from Nhon Trach transportation system and synchronous utility present Great. 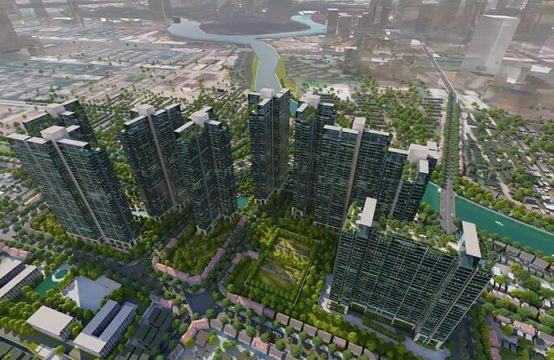 SwanBay Garden Villas benefit from transportation system connecting Ho Chi Minh City – Dong Nai – Binh Duong. Located on Dai Phuoc Island (Nhon Trach District, Dong Nai Province), surrounded by Dong Nai River, opposite Cat Lat Ferry, adjacent to District 2 and District 9, SwanBay Garden Villas is strategically located in the East Gate . 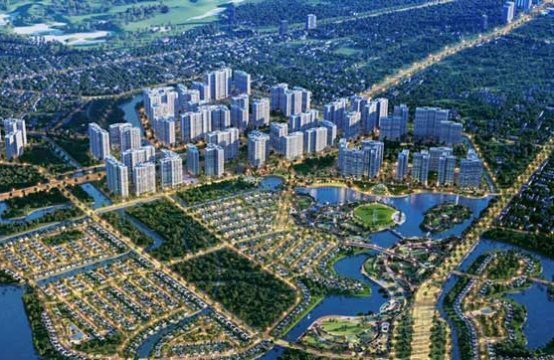 In other words, from here, residents can move to Long Thanh International Airport, Highway 51, Long Thanh – Dau Giay expressway and Ben Luc – Long Thanh expressway in less than 30 minutes. The distance to the center of Ho Chi Minh City is 16km. 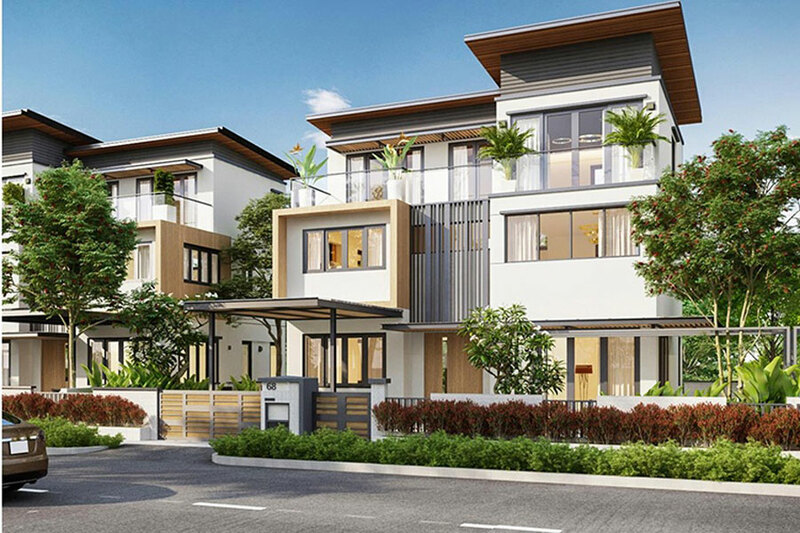 SwanBay Garden Villas is located adjacent to District 2 and District 9, urban areas are being developed rapidly. 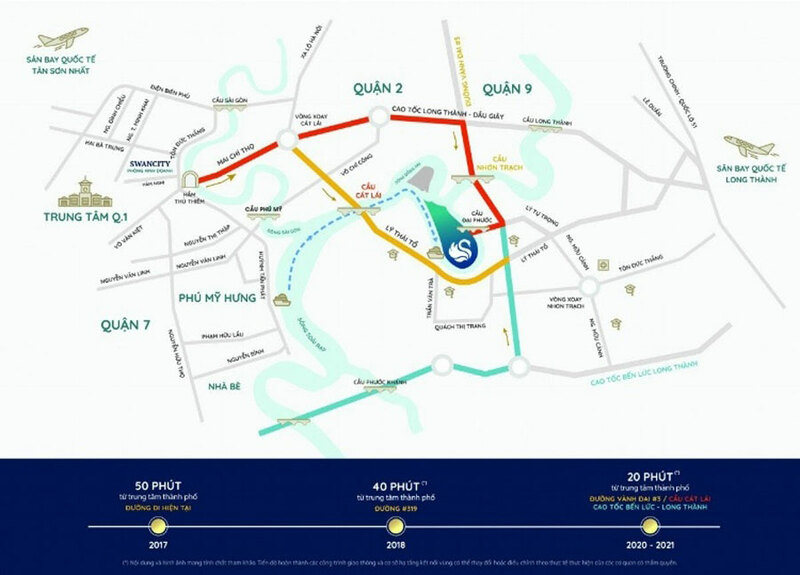 When the Ring Road 3 is completed in 2020, Long Thanh International Airport and the Metro, eco-urban areas will benefit greatly from the traffic circuit linking Ho Chi Minh City to Dong Nai. Ocean. With the convenient transportation to the center of the city and the surrounding areas, SwanBay Garden Villas has changed the concept of green living. In addition to convenient travel, SwanBay Garden Villas bring green living for residents here. With 65% of the area reserved for public parks, parks, landscaped parks along the lake. Each apartment has a private garden and is designed intelligently, modern, in accordance with the overall design. SwanBay Garden Villas open 66 semi-detached villas with discounts up to 15%. In addition to the common facilities commonly found at the current housing projects such as Gym, Spa, children’s playground, sports playground, business center, schools … SwanBay Garden Villas also provides many facilities. Other suitable for each hobby of living. The jogging track around the island is a place for outdoor sports with those who like running or strolling under the trees. Five-star resort swimming pool is not only a place for exercise, relaxation but also a place where families can have fun after hours. For golf enthusiasts, the 18 hole golf course of Jeongsan Dai Phuoc will be the place to frequent. At weekends, the whole family can gather at an outdoor BBQ party or take a boat trip. The SwanBay Garden Villas are geared towards experiencing a life close to nature, spending a lot of time with family and friends. With such conditions, SwanBay project is attracted by many customers and investors. The total area of ​​the project is 22.4ha with a total of 332 villas. On June 16, 2018, 66 limited edition villas will be open for sale. The 66 villas have large green areas with many common park areas. These units also complete garden landscaping for individual villas and high quality amenities (automatic doors, fences, covered parking areas, refractory glass …). Especially, on the opening day, buyers will receive a discount of up to 15%. Competitive price is only VND20-25 million / sqm, payment method stretches, there are more flexible payment options. This is a good opportunity for a user to own a villa in SwanBay Garden Villas at a discounted price. 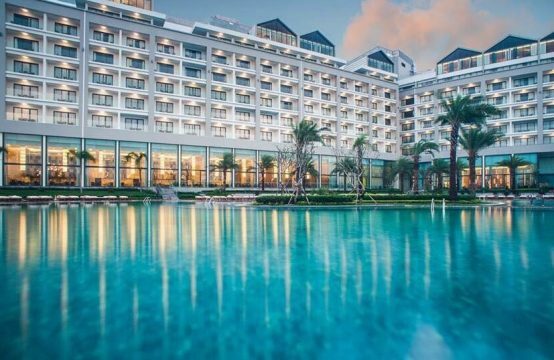 You are reading the article SwanBay Garden Villas removes the concept of “far is green” in the Real Estate category at https://realestatevietnam.com.vn/. Any information sharing, feedback please contact through Hotline 0909890897 (24/7) or email to info@realestatevietnam.com.vn.